Cora Miller is fiercely independent and stubborn to a fault. Betrayed more than once by men she thought she could trust, she's learned to rely only on herself. As the oldest of four siblings, she feels responsible for leading her family safely on the Oregon Trail for a new start. Nathaniel Wilder is no stranger to the hardships and dangers of the wilderness. Raised with his brothers by a trapper in the remote mountains, he left behind the mistakes he's made in the past. He's been called reckless and irresponsible, but won't hesitate to help someone in need. A foolhardy mishap puts Nathaniel in the direct path of a stubborn, yet beautiful woman with fire in her eyes. Despite her refusal of help, he is determined to prove she can depend on him. When her pride puts her and her family in peril, Cora accepts that she can't do it on her own. If misgivings can turn to trust, or even love, both Cora and Nathaniel could come out stronger in the end. Cora's Pride was enjoyable to listen to. The characters were likable and the story intriguing. Cora is a headstrong woman who acts before she thinks of possible consequences. 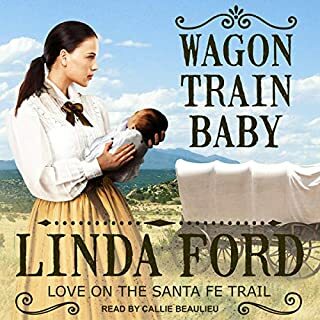 Like when she trails behind the Wagon Train that will not let a woman without a husband join up with it, or when she follows the man who took her horse into the wilderness not knowing where she was going or if she can find her way back to her family. Nor did she consider a band of renegade Indians could be in the vicinity. Her pride makes her think she can do more than she is capable of. 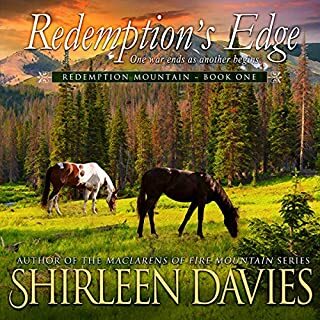 She needs help, but will she accept it from the handsome mountain man who lost his horse and provisions to a band of renegade Indians? 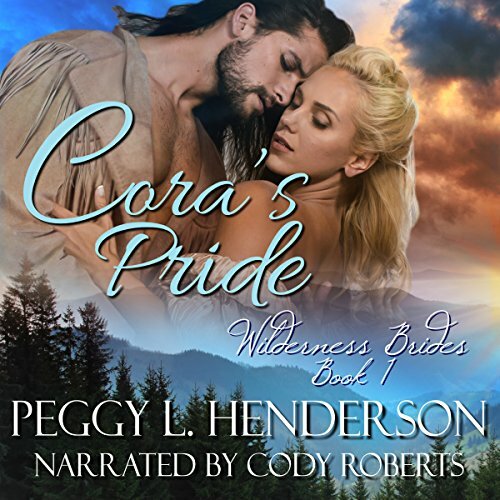 Cora's Pride is a clean western romance, narrated by the very talented Cody Roberts. Fantastic story both written and audible. I loved every moment listening to this awesome story with Cody Robert's smooth voice. This was so enjoyable to listen to. 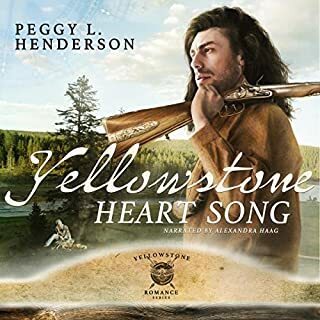 I loved the Kindle story that Peggy L Henderson wrote. I have loved all her stories and her characters are written to perfection. She does tons of research for each and every story she writes and you can just imagine the places she describes in each and every book. Cora is one determined woman and it seems like nothing will break her pride. Nathaniel who I so love is the kind hearted man every woman wants to marry. He is sincere, helpful and just refuses to let a group of young woman and young boy to travel alone through the wilderness even when stubborn and prideful Cora threatens to shoot him if he shows his face around there wagon again. Traveling alone without benefit of a wagon train because no wagon master will take a wagon full of unmarried women and young boy, they have enough adventures to last a life time not to mention enough problems to also last a lifetime. Did I mention dangers as well? Enough of those too. Then in the audible version Cody Roberts has a smooth voice to listen to and can make the changes needed for each character so you know which one is speaking. 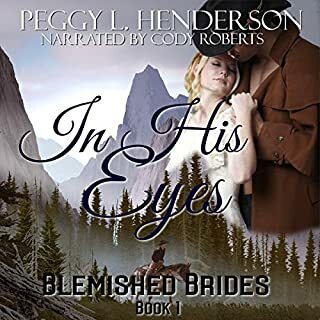 I enjoyed this audible very much and all of Peggy's stories in this form and with Cody's smooth voice he brings out the best in each and every one of Peggy's stories and he brings them to life. Fantastic in all areas and I highly recommend you get both the book and this audible. You will love it. What made the experience of listening to Cora's Pride the most enjoyable? Cody Roberts! He hit it out of the ballpark again! He breathes life into the characters of Nathaniel and Cora make the story even more wonderful! What was one of the most memorable moments of Cora's Pride? The scene with the preacher and what he says to Nathaniel and Cora. It was funny and I think was the point when you saw them band together rather than war at each other. They have to endure this preacher and truly see that they are stronger together. What about Cody Roberts’s performance did you like? Cody's smooth, slightly western drawl really brings the story to life! It is rare that you find a man who can do a female voice and not sound whiny or like a little girl. In Cora's Pride, Cody had 4 women's voices to perform and he did an excellent job. He also made all of the men sound different and believable too. The scene when Nathaniel gets shot. I will say now more, you will have to listen to it! Cora is moving her family to Oregon only to be stopped by being abandoned by the wagon train. So instead of turning back, she carries on only to find that keeping her family safe is harder than she thought. Nathaniel just wants to stay alive and get his horses back from the Crow so that he can get his family's winter supplies home. The problem is that now he has no horse and he only has his feet to travel until he sees a horse that he decides to borrow . . . Cora's horse. From the very beginning, these two have a connection even though their first encounter is explosive. Can their separate disappointing pasts lead them to a promising future? Peggy does it again with this new series. I enjoyed the humor and depth of characters as well as cameos from a prior series. 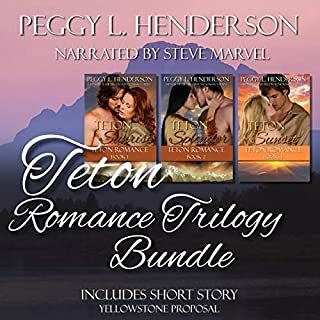 It is wonderful to see how Peggy continues to share her love of the Yellowstone/Teton area. Sit back and experience another area of the Teton area in this beautifully written book. The audible book was given to me to review. If you could sum up Cora's Pride in three words, what would they be? Have you listened to any of Cody Roberts’s other performances before? How does this one compare? Cody Roberts' narrations are always superb. His rendition of "Cora's Pride" is one of his best. Both. The story of Josie is heart wrenching. Having a stubborn heroine and a stubborn hero just made for some interesting conversations. I enjoyed the first book in Ms. Henderson's new series. It was also fun to find out what character(s) from previous books would make an appearance. This is another fantastic read by the author and narration by Mr. Roberts. Peggy, you have done it again. Cora's Pride is a lovely story of a woman's struggle with so many past painful experiences and emotions. Because of these painful past situations her defenses are so high it is almost impossible to communicate with her. But along comes Nathaniel, what a hunk! 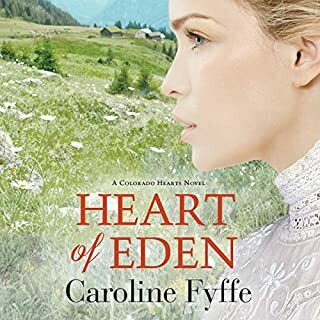 He is feisty, handsome and determined to win Cora's trust and then her heart. I loved this book! In parts I laughed out loud and in parts I had a big lump in my throat. As for the reader, yummy he can read to me any time he wants to. Cody does it for Peggy again! I LOVE Peggy’s books — they are authentic and well written, but when I listen to Cody narrate them, they just come to life! Loved it from the first. Awesome narration by Cody as well. I cant wait to read the next book in the series. Peggy Henderson takes us on a wonderful adventure that shows the struggles of life for a woman living on her own after being dealt some pretty hard blows in life. As the great writer Peggy is, and talented narrator Cody is...this book is a must have.